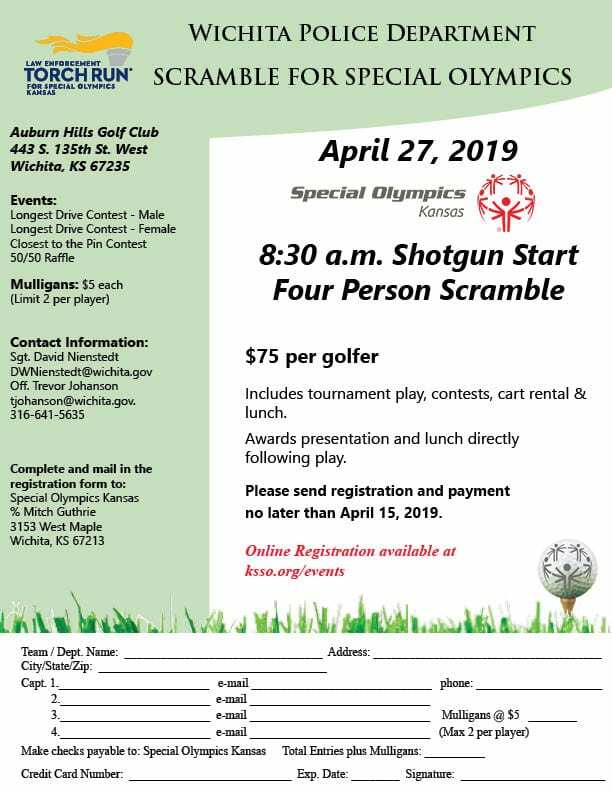 Join the Wichita Police Department for a 4-person golf scramble benefitting Special Olympics Kansas. 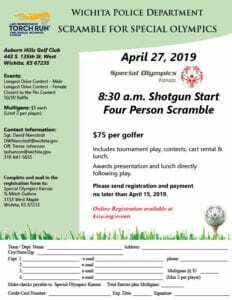 Registration includes tournament play, contests, cart rental and lunch. Awards presentation and lunch directly following play. Click HERE to register, or click HERE to download the flyer.